I am on a plane - long-haul over the Pacific - and someone asked me to spell out what I thought would happen with a Greek sovereign default. As this is drafted on a plane it is designed to outline extreme views (you know the ones after two glasses of wine). If people want to explore more modest views that is for the comments. Still all options look bad. I see two broad variants - both of course stick most of the losses on Germany and France. Some variants are totally disastrous. Variant 1 - the Argentine option: Default and de-peg the currency. The Argentine economy was doing quite nicely after the devaluation. The lesson was that devaluation worked - provided you simultaneously forced private sector default. If you were Greece you would take this option without hesitation. However this option has explosive implications for Europe. You see a bank deposit in Athens is going to turn your Euros into Drachma. Overnight it will lose 70 percent of its valuation. So it has to be done quickly and with an element of surprise (as per Argentina when most people did not get their dollars over the border). Without surprise people will rush their money to Deutsche Bank in Munich. One weekend we will just find that the Greeks have done it. But now suppose Greece does pull this trick. The day after we have a Drachma - deposits are in Drachma. We might print a single 10 drachma note and allow it to settle against the Euro - then over time print more. This should work for Greece. Now if you are Irish or Italian or Portuguese (or even Spanish) you know the rules. You get to get your Euro out of the PIGS and into the core (Germany) as fast as possible. So max all your credit cards (for cash), draw all your bank deposits and load them in the boot of your car and make the drive to Switzerland or Germany. Somewhere safe. Otherwise you are going to lose half the value the day that the rest of the PIGS do a Greece. And this bank run – a run including tens of thousands of Italians driving their Fiats - will surely blow apart every Italian bank. And their Euro-skeloritic compatriots will sign the death knell for for all their banks too. If you are going to go the devaluation route you are going to have to do it all at once. Like the big-bank weekend (maybe coinciding with a week long bank holiday) in which all core European countries get their own currency back. There is a precedent. It is not a pretty one. When the Austro-Hungarian empire collapsed there was a single currency over a huge area covering much of what is now Euroland. In this case the rather Germanic Austrians were in charge (or rather were in charge until their empire collapsed). In this conception all Spanish debts become Peseta debts. All German debts become Mark debts. All Greek debts become Drachma debts. Unstamped currency goes worthless. If you are going to split the currency I see no alternative to a big bang - and if you do that I see no alternative to troops at the border stopping transfers (and wire transfers) because shifting cash North looks so profitable against a sudden devaluation. Suddenly – and against all historic hope – its time again to guard the French-German (and every other European border) with troops for a week whilst the money is stamped. Note however almost every country borrowed in hard currency (Marks) and got to repay in soft currency (Drachma). This is a scheme which shifts the loss home to Germany and with little compensating benefit except that they get their beloved Mark back. Its a scheme that is way better for the periphery because they get to keep their institutions. In two years they should bounce back like Argentina bounced back after their default. Unilateral Greek default and devaluation without planning for the periphery to do the same - well that is a true mess. Too ugly almost to think about - and it would be unilateral for less than a week. The rest of Europe falls into that abyss with maximum movement of deposits and cash in the meantime. In the second variant Greece has a huge problem after the default - which is that its banks are insolvent. They own a whole lot of Greek Paper. Moreover Hellenic Telecom does not look that great either. And for that Europe will need troops on borders. Armed and dangerous. At Bronte we talk a lot about French banks. But we have not owned any of the majors since Greece started looking shaky. We used to own Credit Agricole SA - indeed when we started Bronte it was one of our largest positions. But their exposure to Emporiki (the number 5 bank in Greece) scared me. Indeed I blogged about it once. Anyway I just bit the bullet and purchased a position in Credit Agricole. My business partner didn't like it - indeed he argued strongly against it. We made a profit - after commissions - of 412 Euro on the only day trade Bronte has ever done. My name is John and I am a day trader. This is a post I made fairly early in the history of the blog - and a post I think should have got more attention. (The original post had no comments and nobody much link to it.) I re-read it today (because it came up in conversation). I am kind of proud of it - so allow me the luxury of a repost. This leads into the way that the lending is done. Its TEASER RATE lending. In the UK new mortgages (especially from this bank) tend to have a “teaser rate” which applies for two to three years (mostly two years). The fashion of late is to have two year fixed rate loans on very low spreads (the yield curve is flat in the UK) and to offset the spread a little bit in up-front fees. The loans revert to old fashioned (and fat margin) standard variable rate (SVR) at the end of the teaser rate period. The profitability of this business is determined by how many of the loans you manage to keep on your books after the teaser rate wears off and on any incidental products you might sell to the mortgage holder. If the loan comes in through a branch rather than an IFA the loan might be more profitable because it does not cause a broker fee.Internet channels are also relatively profitable. The place however they misled most blatantly was on the margins both historic and prospective. 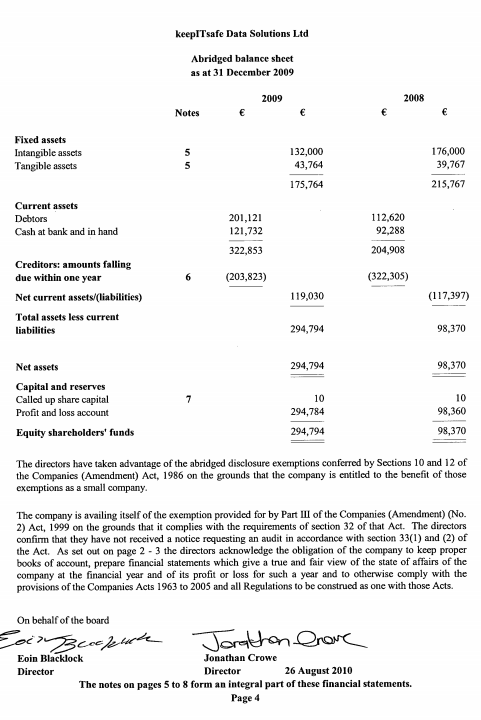 The company stressed that I should not just look at interest margin – rather I should look at fees plus margin over assets – especially as they had shifted to fixed rate low margin loans with relatively high fees.Ignoring the IFRS issue (as they did) the average margin on the book is 125bp and it has fallen every year – most notably during 2004. They wanted to tell me that the INCREMENTAL margin was 110-120bp. This is much higher than the competition tell me the margin is (40-80bps) and simply cannot be squared with the margin figures in the above table. The problem is that they will soon hit limit leverage constraints (but they would not tell me what those constraints were) and were aware that their margins (hence earnings and ROE) would continue to drop once they hit those limits. Do I want to short it? I wouldn’t object – but I suspect we can do better with timing. The investment bankers are convinced that if something went wrong it would be purchased at 80 per cent of book on the way down. Maybe that is true now – but it will not always be so. I was staggered by the lack of sophistication of the staff – I met the CFO and he was either dumb or a liar or just assumed I was dumb.This company is totally dependent on the goodwill of financial markets. I put to them that they were dependent on the kindness of strangers – and they bristled. They thought that people invested in UK mortgages because they were good investments. Why – so they thought would you invest in Italy? The shrinkage does not show in the numbers – but the deposit base includes €2.5 billion in French deposits which are really hot-money commercial paper and some Japanese deposits. The claimed retail deposits in the five year results page I reproduce (17239) does not match the balance sheet (20342) and I am assuming the difference is roughly the above €2.5 billion and other quasi wholesale money. I can’t tell how much “hot money” there is but Northern Rock were pretty keen to advertise a 5.4 per cent rate.The shrinkage is a guess – but the company was not far from admitting the same when pushed on the issue.